that is not just for brides! Find the bridal jewelry of your dreams in this collection of original and unique, hand-crafted costume bridal jewelry. Explore our lines of vintage-inspired new designs & one-of-a-kind bridal jewelry, beautifully crafted using both new and antique components. plus beautiful Special Occasion Jewelry for your wedding Guests! and gives them new life in her beautifully crafted one-of-a-kind bridal jewelry designs." "This is the most striking and unique bridal jewelry I have ever seen!" 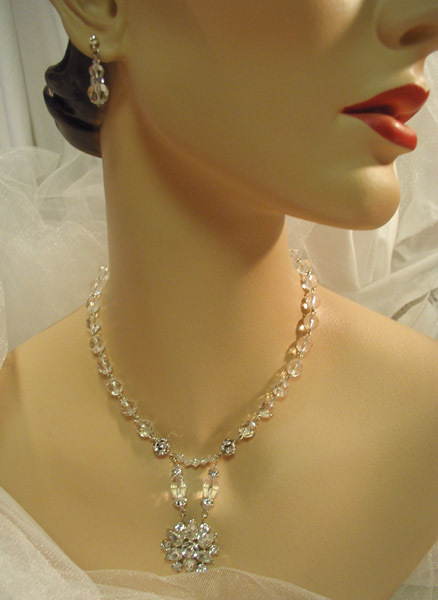 "I love my vintage crystal bridal jewelry! Thank you!" 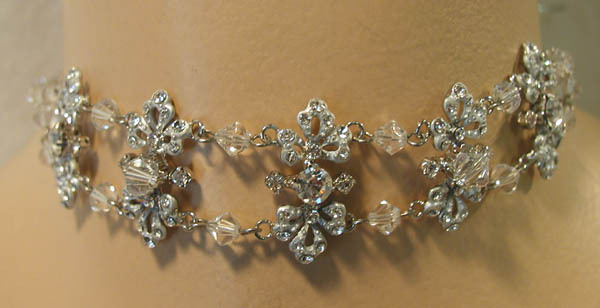 "I'm thrilled to have found wonderful vintage wedding jewelry for my entire bridal party! Even my mom found something perfect for my wedding!" "Thank you for the spectacular rhinestone bridal jewelry." 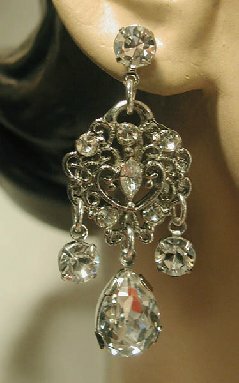 " My bridal earrings are fabulous! Thanks you!" whenever I need special occasion jewelry!" I received my order this morning and I am completely in LOVE with it!!! You did an awesome job...Thank you soooooo much!! "Marcia, I love you!!! The necklace is exactly what I pictured for myself and I am so excited to wear it! I will definitely send you pictures of me in it and I will tell everyone I know that ever needs jewelery about you. I am so glad that I found Vintage Bridal Jewelry! 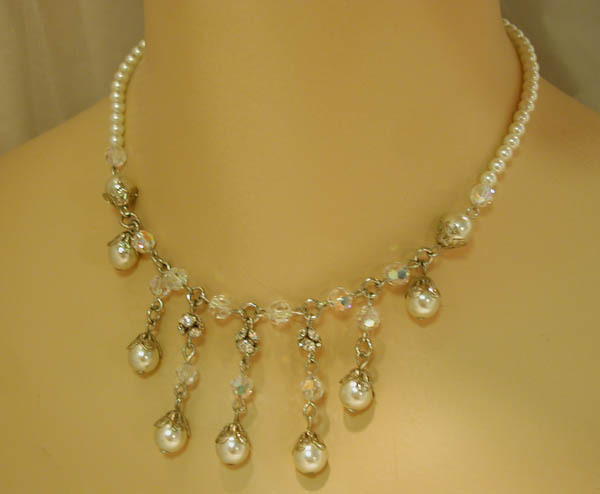 "The crystals really make the pearls sparkle and stand out. It is beautiful! Thanks for just the right piece of jewelry! Thank you so much for your quality and service. I got my necklace Friday and I just wanted to say that you did an amazing job on it! It fits my neck perfectly and I love the colors! It's going to look awesome with my dress. Thank you so much. I received my bridal jewelery yesterday, I love it. I just would like to thank you for shipping it out so quickly. for me. You are truly an artist the way you put together alternating pearl sizes, crystals and the two strands and colors. I really love the drop in back! The earrings are beautiful too. Now my outfit is complete. Thank you again for your special prompt attention to my order. I just wanted to say Thank You so much! The wedding jewelry is absolutely beautiful. Better than I ever imagined! I can't wait to wear it on my big day!...I will definitely be sending pictures after the wedding for you to add to your collection. I am so pleased with your work and I will be referring everyone I know. non-cookie-cutter jewelry for brides like myself :-) Thank you! Everything worked out so beautifully and I couldn't have asked for a more perfect wedding. "Just a quick thank you for my lovely necklace, earrings and bracelet. It is ideal and will be treasured. I will make sure my photographer gets some wonderful pics!!! Everything sparkles so nicely! I just received my tiara and jewelry. They are GORGEOUS!!!!!! I love everything. I will send you pictures of the big day. "Just wanted to let you know that I received my Aphrodite bracelet in the mail and it is Gorgeous!!! Thank you so much, it's even prettier in real life!! bridal jewelry. Thank you again so very much!! I received my brooch yesterday and I am thrilled with it! It is absolutely perfect! 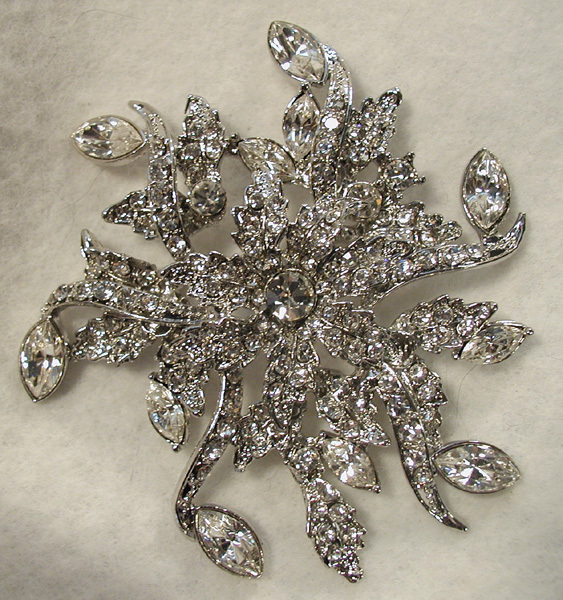 I would love to send you a photo of the brooch on my dress on my wedding day. Thank you for making the purchase and entire process so seamless. "I received my order today and I absolutely love the necklace and earrings! Can't wait to wear them on the big day! I received my jewelry and it's beautiful, thank you so much. Just wanted to tell you we tried the jewelry on for the first time today with the dress! It is perfect! Thank you so much! I will try to send a picture! I received the package today...and everything is absolutely beautiful. I love it ...I can't wait until the wedding ...words can't express how impressed I am by your work. Thank you so much, Jeneen"
"I just want to say Kudos!!! to the designers at Vintage Bridal Jewelry!! My wedding day was made perfect by the beautiful jewelry I had to go alone with my gown. I got many compliments on the set. I attached two pics of me on my wedding day. Thanks again for making such wonderful jewelry! 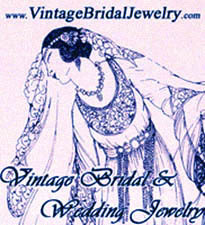 , Aginah "
"I love my vintage bridal jewelry! It will be a wonderful heirloom for my family. The bridal necklace is beautiful. It is something I will be proud to see on my granddaughters someday as they walk down the aisle. "Thanks, just picked up the bridal jewelry today and it is absolutely gorgeous!.- Jamie S."
and I'm thrilled with it, it's just perfect! Thanks a million. 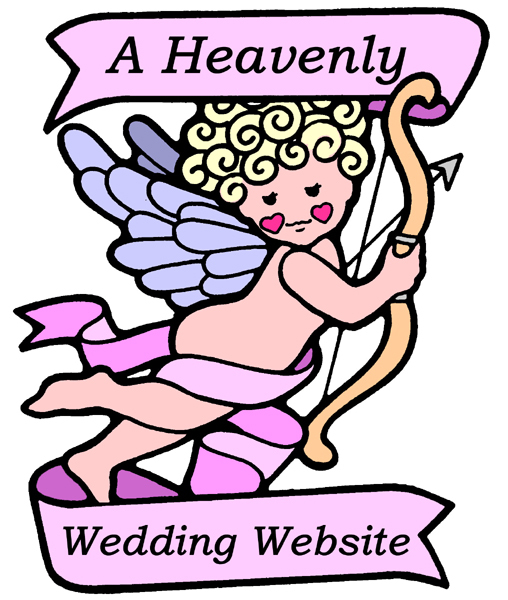 I will definately recommend your company to anyone looking for that something special.